The Foyer of Charity welcomes those who find a need for peace and truth, and who seek these in the living God and in his love. Through week-long retreats the Foyer seeks to give men and women today an opportunity similar to that of those who first heard the Gospel in Galilee: to get away for a time, to focus on Jesus and His word, and to return to the concerns of life enlightened and enriched by Him. The retreats try to reply to the great questions which face men and women: the meaning of human love, of work, of suffering and of death. It looks at these in the light of scripture and the teaching of the Church, especially Vatican II. The retreats are 5-day silent retreats. The length of the retreats and the quality of the silence are important for an increasing freedom of mind and joy in the Spirit of God. As in the first Christian communities, all are welcomed at the same time – men and women, single and married, young and old, religious and lay, baptised or not. The retreats insist on the Paternity of God who is Love and on the maternity of the Virgin Mary. The retreats address those who search for God, or who wish to progress in their life of faith, of prayer and their apostolate. 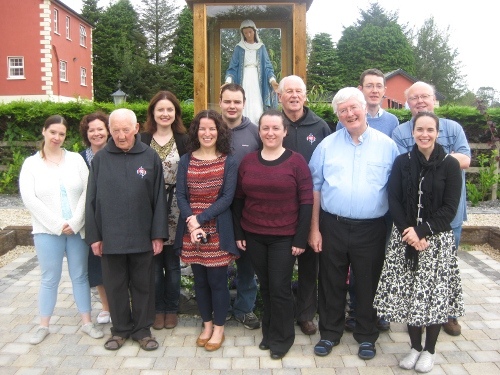 “The Foyers give authentic spiritual teaching, in a climate of silence, charity, devotion to Mary, which opens souls to conversion, deepens their life with God and forms them for the apostolate”.